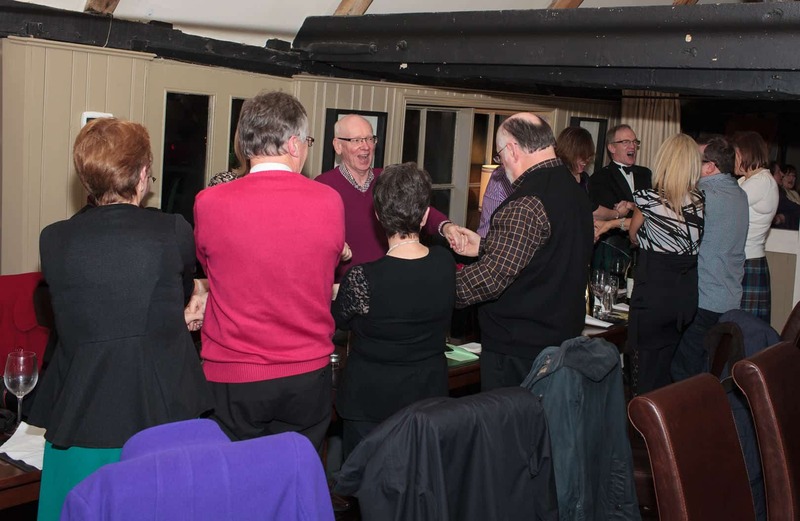 The sound of bagpipes emanated from The George on Friday night, 24th January 2014, as the Haggis arrived and was presented by the chef to the gathering of Spaldwick residents, their friends and relatives. The Burns Night Supper, organised by the Spaldwick Social Group, proved a popular event and the 60 tickets were sold very quickly. Guest toastmaster for the evening was Alan Robertson who joined us for the formalities. 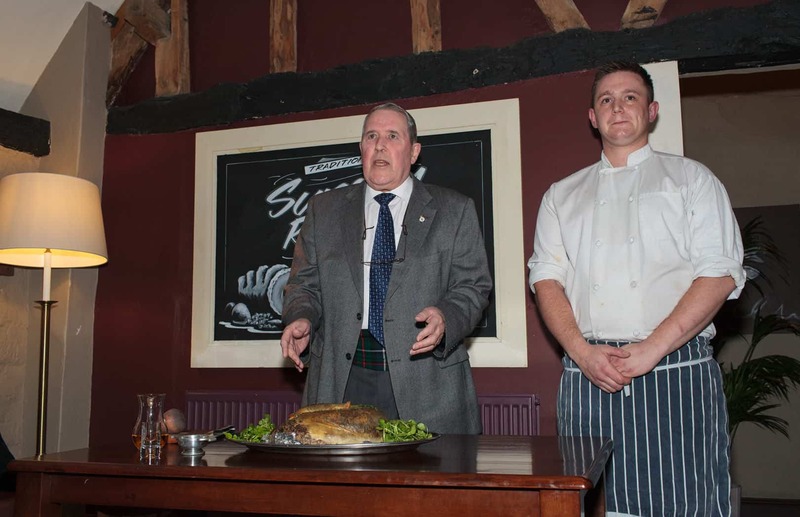 He gave the ‘Address to a Haggis’ and ceremonially sliced it with a dagger. The drama was best enjoyed by those seated nearby but, as I sat the furthest away, I only saw the dagger raised above Alan’s head before being brought down with purpose. Then came lots of applause so I knew it was well aimed. 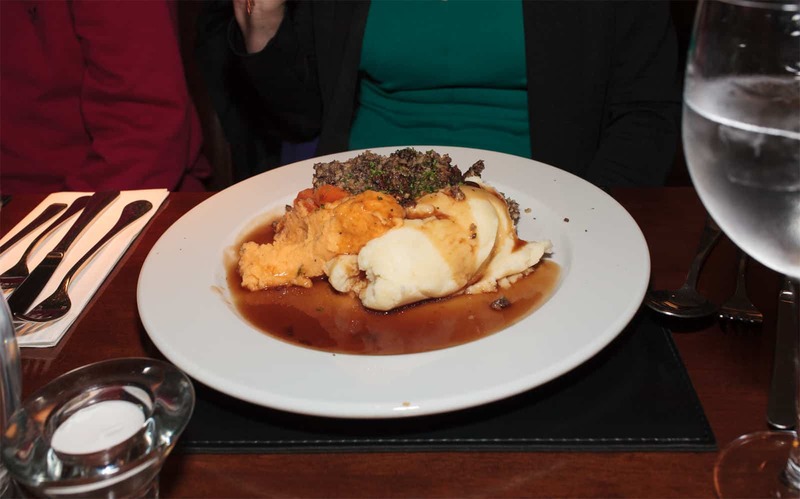 The traditional main course of Haggis, neeps and tatties (below) was followed by a scrumptious chocolate torte but, before we placed a morsel in our mouths, Bill McCue offered the Selkirk Grace with fine voice. 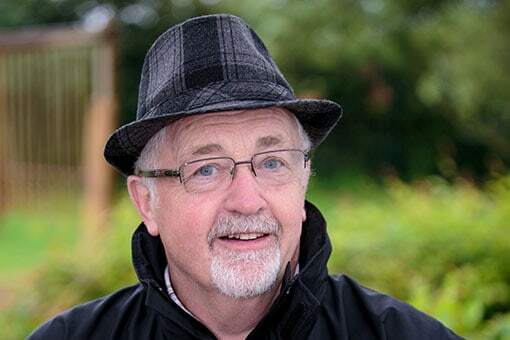 We were treated to an impromptu reading and review of Robbie Burns’ life by Alan Robertson and then we sang one of The Bard’s best known compositions – Auld Lang Syne (shown below). Three members of the Social Group – June, Caroline and Raine – provided a warm welcome as everyone arrived at the pub and also managed the raffle. The prize draw rounded off the splendid evening very nicely and the total proceeds of £307 will help towards making this summer’s Spaldwick Fete (on Saturday 12th July 2014), Spaldwick’s biggest and best yet!